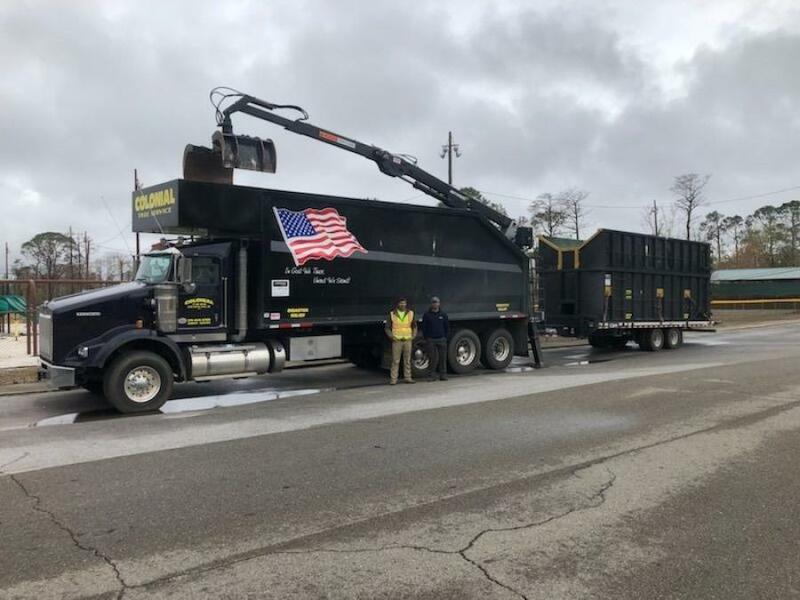 Optimal Recovery and Colonial Tree Service are performing cleanup work in Mexico Beach, Fla., as a result of Hurricane Michael in October. To help with this challenging work, Colonial Tree Service purchased a CAM Superline trailer from Eagle Power & Equipment, based in Montgomeryville, Pa. Colonial then modified it. Colonial Tree Service says it has come a long way since its initial days in Horsham, Pa., in 1995. Today, in 2018, the company also goes a long way to California, to Florida, to Puerto Rico and anywhere else in the United States where the Federal Emergency Management Association (FEMA) needs assistance. "We started with only one lawn mower and a CJ7 Jeep," said Matt Rossi, who leads Colonial Tree Service with his brother, Carl Rossi, along with Jim Cligget, his brother-in-law, and Bruce Ross. Colonial Tree Service, now based in Southampton, Pa., performs large tree removals and minor landclearing — work that takes it all across the country and beyond. The number of employees at any given time can balloon from 25 to 70, depending on the work FEMA sends the company's way, which can be a lot and very frequent. Recently, FEMA alerted Optimal Recovery in Dade City, Fla., of a tree removal project in Shaver Lake, Calif. There, trees were in danger of falling down due to beetles and drought. Brent Reedy, owner and president, of Optimal called in Carl Rossi and his crew to assist with the extremely large and dangerous tree removal work. Brent and Carl met in 2014 in South Carolina when cleaning up after an ice storm; they've worked together frequently ever since. And in 2018, Colonial Tree Service was out in full force in Puerto Rico helping with significant tree and brush removal not long after Hurricane Maria tore through the island. Right now, Colonial crews are hard at work cleaning up after Hurricane Michael blasted Mexico Beach, Fla., in October. Matt Rossi said he expects his company to be there for a while. "Right now, we're moving vegetation and C&D, the demolition material created from all the houses that were destroyed," he said. "We'll probably be down there for another three to four months. The debris is loaded into debris trucks and is then hauled to a FEMA drop-off site. They have temporary dump sites where the material is dumped and it is then re-hauled from there to a designated landfill." Optimal and Colonial are also cleaning debris out of the canals and waterways using barges. To help with this challenging work, Colonial Tree Service purchased a CAM Superline trailer from Eagle Power & Equipment, based in Montgomeryville, Pa. Colonial then modified it. "We put a 50-yard container on top of it for a storm truck," he said. "The storm truck is 76 yards and then with the Superline trailer, it made it a 130-yard unit. The modifications took about two weeks to complete." When looking at a trailer for the kind of work Colonial performs, Rossi said, "You can do two things: you can get a PUP trailer, which is only good for one thing … you can load it up with material. But with the Superline trailer, we were able to load equipment onto it, like skid steers and excavators, which, for us and what we need it for. It's a lot more versatile. "The PUP has all four sides, but they're welded together, so you can't get anything inside of it," he added. "There are no doors. With the Cam Superline trailer, the way it folds down to the ground, we're able to load heavy equipment onto it with the containers on it." With the rapid response, in-demand work FEMA requires of his company, Rossi said trust means everything when purchasing equipment. "We've done business with Eagle Power & Equipment before," he said. 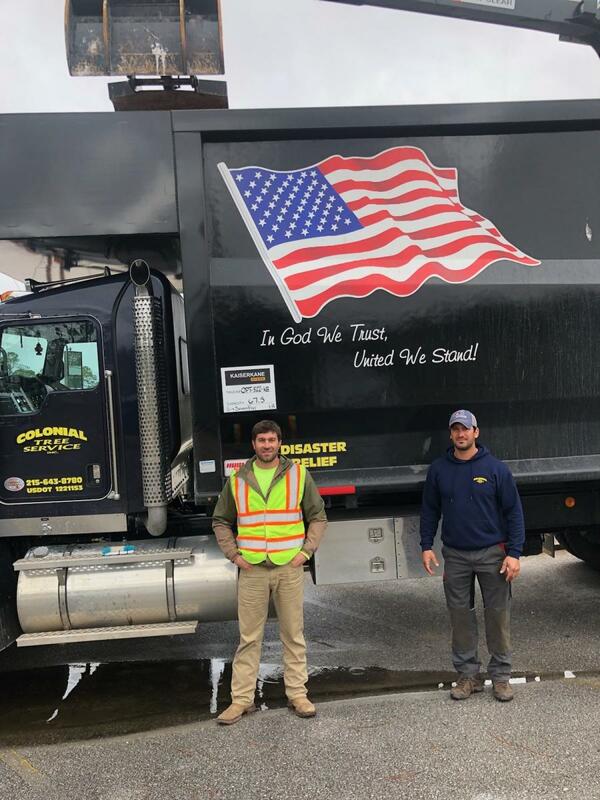 "We like working with Dean Leonetti Jr. and his father, Dean Sr. [sales representative and sales manager, respectively of Eagle Power & Equipment]. They always stand behind their word. We've purchased skid steers from them and some other 20-ton trailers, as well, and it's always been exactly what we needed." From its humble beginnings in the mid-1990s to a contractor today that's ready, willing and more than capable to go virtually anywhere it's needed, Colonial Tree Service remains a company on the rise. Safety and customer service, in that order, is what Rossi and his company strive for, he said, and smart equipment decisions certainly play into that. Colonial Tree Service may not be a contractor you want to see, but it's one you need to see when extensive cleanup is needed to be able to start over when storms wreak havoc. For more information, visit www.colonialtree.com/ and www.optimalrecovery.com/.